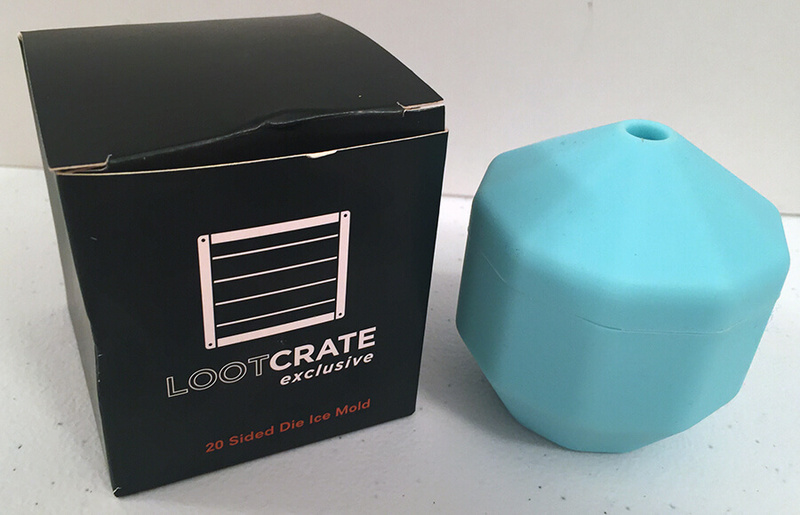 Loot Crate is a company who ships a themed box of the geek, gaming, and pop culture collectibles, apparel or gear straight to their subscribers’ mailbox each month. 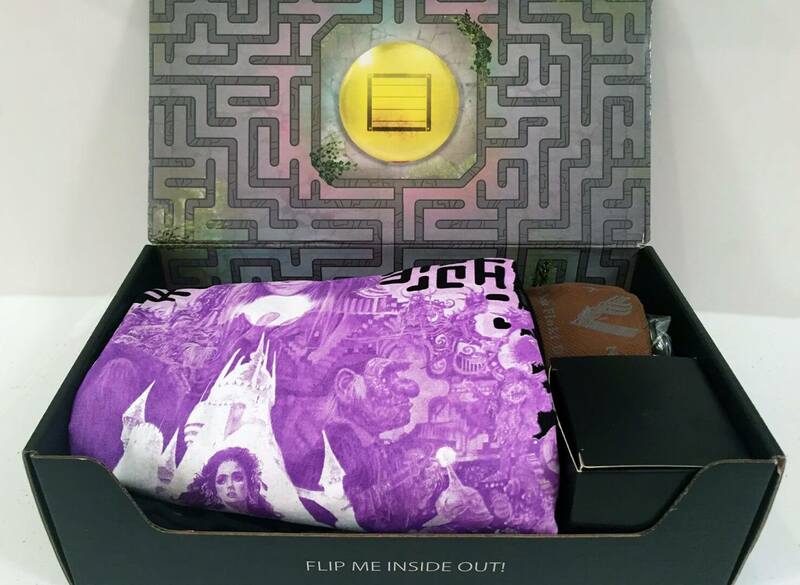 The Loot Crate theme for April 2016 was Quest. So subscribers got a box packed with items that were related or connected to a quest of some sort. Now let’s take a look at what came in our mystery box. 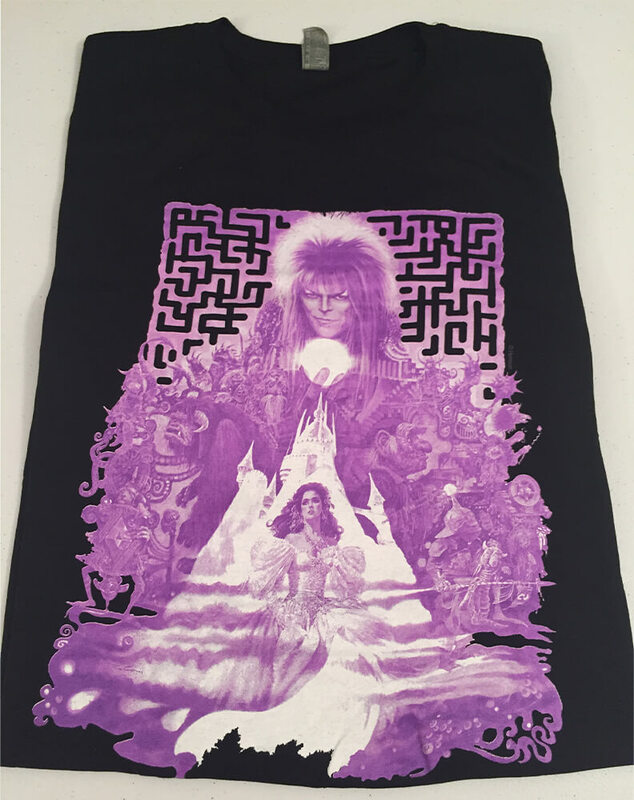 This Labyrinth inspired t-shirt featuring the late David Bowie definitely has the word quest written all over it. Take a look at the maze in the background. If you’ve seen the movie, you know that it was about a girl who goes through a maze to find her baby brother from a goblin king. It’s a pretty cool shirt that not only honors the idea of a quest but also honors the recent passing of the David Bowie. When we shot the unboxing video for this, we had no idea what this was other than a cool looking Viking horn. 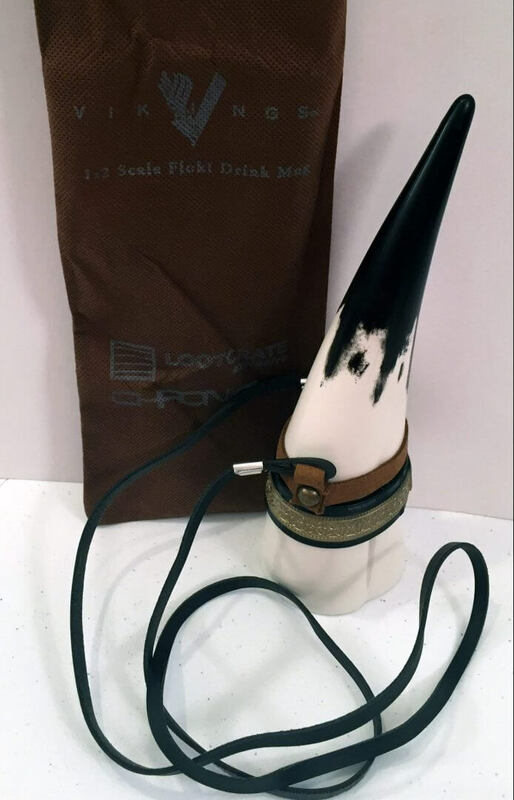 We later discovered this was actually a drinking cup that you can tie around your neck and a collectible from the TV show Vikings. Harry Potter Socks! 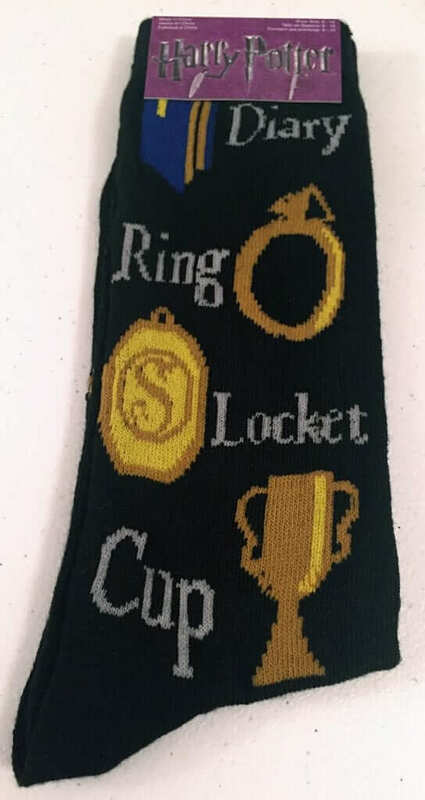 Something every Harry Potter fan needs in their wardrobe. 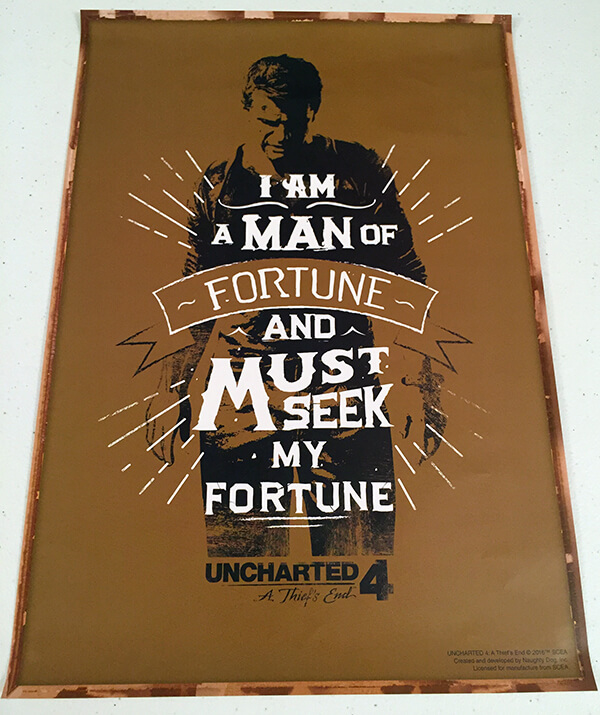 This Uncharted 4 poster was also included in this Loot Crate box. Sounds like they are on a quest for their fortune! 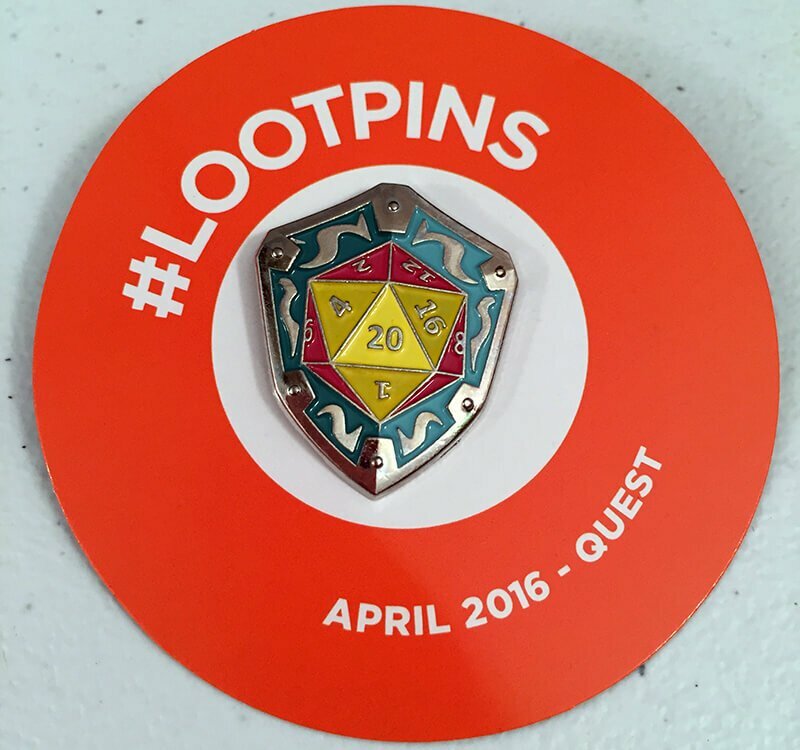 The final item in the box was the April 2016 Lootpin #LootPins There, you see the 20 sided dice embedded in a Viking-like shaped pin. This seems to encompass many of the items into one really cool pin for those pin collectors out there. May is a big month for big summer movies! All those epic matchups inspired a look at some of pop culture’s most unstoppable, unrelenting and unbeatable characters and items. No one crate should have all this POWER!